The Cote Fleurie is a coastline situated in the eastern part of the department of Calvados in Basse-Normandie - Lower Normandy. 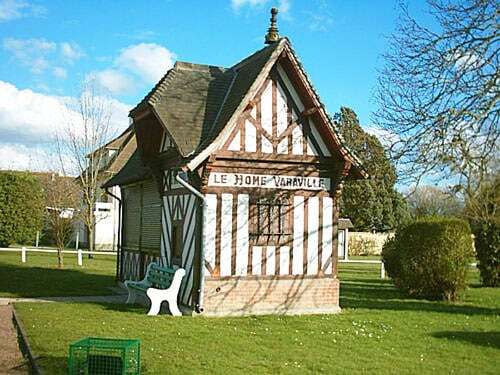 It extends over about 40km between Honfleur, on the estuary of the river Seine, to Merville-Franceville-Plage, at the mouth of the river Orne, opposite Ouistreham. The Cote Fleurie is the coastline of the Pays d'Auge. 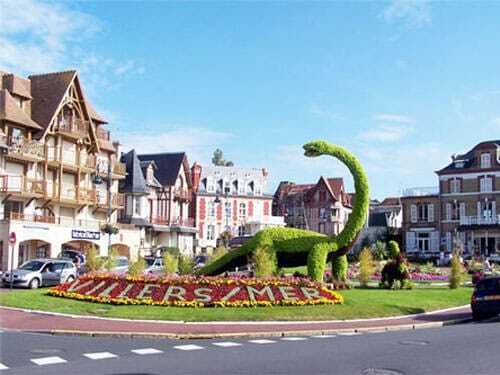 This historical region is considered the archetype of the Normandy countryside. 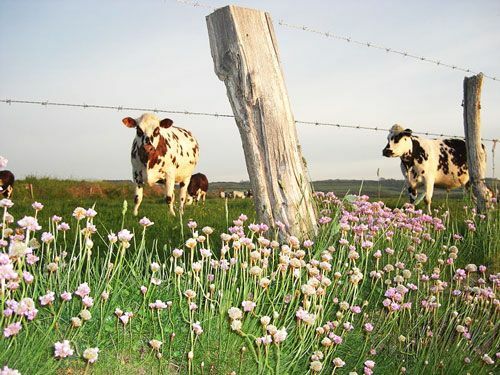 Indeed, this is where you'll find green and flowering hills and meadows where black and white cows graze, and orchards planted with apple trees producing the renowned cider and Calvados spirit! The Cote Fleurie is a succession of long sandy beaches stretching at the foot of low cliffs. These are open by two wide river valleys: Vallées de la Dives and Vallée de la Touques. The coastline is also punctuated with many trendy seaside resorts. Merville-Franceville-Plage, Cabourg, Dives-sur-mer, Houlgate, Villers-sur-mer, Deauville, Trouville and Honfleur. Elegant villas and mansions with luxurious gardens and parks were built along the seafront during the Belle Epoque. They turned these once understated fishing villages into trendy seaside resorts. The name of Cote Fleurie dates from 1903. Raymond Coustant de Yanville invented the name for his beloved coastline in order to compete with the Côte d’Azur! Coustant was then the president of the society of Horticulture of the region. He drew inspiration from the region's many flowery meadows and rolling hills, orchards, gardens and parks! Flowery Coast is a well deserved name! Indeed, the seaside resorts have since kept the tradition of planting flowers in all the parks and public areas for the tourists and holidaymakers to enjoy! A short section of the Cote Fleurie, that stretches below the Plateau de Grâce near Honfleur, is known as Côte de Grâce.